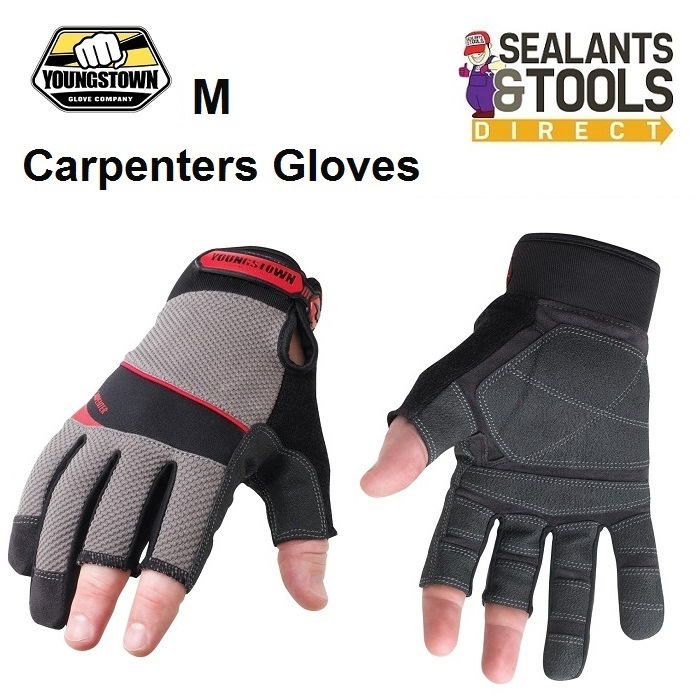 The Youngstown Medium Size Carpenter Plus features unparalleled dexterity by way of its shortened thumb, index and middle finger Fingerless Work Glove's. Non-slip reinforcement protects the palm at critical wear areas. Handling nails, screws wires and other small items won’t slow down your performance or productivity.